The Great Lakes Research Consortium at the SUNY College of Environmental Science and Forestry (ESF) has awarded $44,819.00 for research projects that will investigate a vitamin deficiency in fish, algal blooms and the food web in the Great Lakes. The Great Lakes Research Consortium awarded funds to ESF, SUNY Brockport, Cornell University and the Upstate Freshwater Institute. Project collaborators include the New York State Department of Environmental Conservation, New York State Federation of Lake Associations and U.S. Geological Survey Lake Ontario Biological Field Station. ESF and the Upstate Freshwater Institute will receive $14,838 to investigate factors associated with the recent proliferation of harmful algal blooms (HABs) in the waters of the Great Lakes basin. Since 2011, the Citizens Statewide Lake Assessment Program has tracked HABs in lakes across New York state, creating a large multi-systems database that offers a rare opportunity to advance understanding of the physical, chemical and biological factors that can trigger HABs. The New York State Department of Environmental Conservation Division of Water and the New York State Federation of Lake Associations, Inc., will collaborate on the project. The College at Brockport,State University of New York, will receive $14,981 to investigate vitamin B1 deficiency impact in lake and steelhead trout and Coho and Chinook salmon and their prey fish: alewife, rainbow smelt and round goby. Lack of vitamin B1 is a cause of death in young and broodstock fish. Research areas include Lake Ontario waters near Hamlin Beach, Olcott, Oswego and Rochester, and the Salmon River Fish Hatchery in Altmar. The U.S. Geological Survey Lake Ontario Biological Station at Oswego and the New York State Department of Environmental Conservation Fisheries Station at Cape Vincent will collaborate on the project. Cornell University will apply a $15,000 grant to develop and test more efficient methods for analyzing the diet of mysid shrimp, a critical mid-level component in the freshwater food web. High-throughput DNA sequencing will be employed to identify algal and zooplankton taxa, or food groups, from mysid stomachs using a barcoding approach. Results will support more comprehensive research into the dynamics of the food web that supports the multimillion-dollar sportfishery on Lake Ontario and in the Great Lakes. Funding for the grants is from the New York State Great Lakes Protection Fund via the New York State Department of Environmental Conservation to the Great Lakes Research Consortium, an organization of 18 colleges and universities in New York state plus nine affiliate campuses in Ontario, Canada, dedicated to collaborative Great Lakes research and science education. "The Great Lakes Research Consortium is pleased to award funds for three distinct projects that will address critical needs and opportunities to advance Great Lakes science," said Dr. Gregory L. Boyer, Great Lakes Research Consortium director who is a chemistry and biochemistry professor at ESF and a participating researcher in the study of harmful algae and algae-related ecosystem impact. The Great Lakes Research Consortium seed funding allows investigators to test new ideas, complete small-scale projects, or to start projects to obtain preliminary data that can be used to request additional funding from larger programs such as the National Science Foundation and the basin-wide Great Lakes Protection Fund. 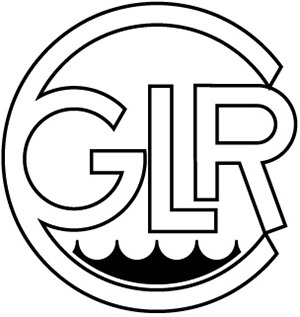 The Great Lakes Research Consortium administers the New York State Great Lakes Protection Fund small grants with support from the New York State Department of Environmental Conservation and the New York Great Lakes Basin Advisory Council.